The concept of an ISA (Individual Savings Account) is not a new one, in fact, they’ve been around for almost 20 years and were introduced to encourage the UK public to save with the added benefit of a tax-efficient wrapper. Over the years, the range of ISA options have increased and there are now a wide choice, including cash, stocks and shares, junior and lifetime ISAs. These products enable holders to save up to £20,000 in any tax year, whilst also benefiting from tax-free returns. People can also spread their ISA allowance over the different types of ISA options – providing much greater flexibility. ISAs over the years have proved to be very popular! Over 11 million adults opened an ISA last year, meaning around 20% of UK adults hold one. Have you ever thought about what your savings could be funding? Many people are often completely oblivious of what their money is actually funding, once it is held in savings, investments or bank accounts and potentially your money could be used to fund industries and businesses you might be uncomfortable with, or even opposed to. A recent report from Ethical Consumer (focusing on UK current Accounts) also shows that if you have an account with any of the main UK banks, chances are you too run a very high risk of inadvertently funding unethical activities, such as fracking and fossil fuels. If you are concerned about where your money goes, take a look at Banktrack’s website, (a campaigning organisation that aims to stop large banks from funding projects and companies which are disastrous for communities and the environment) and you’ll find a whole host of high profile examples of banks financing activities that many people would find shocking. Perhaps you might want to consider investing your money in a way that directly supports ethical or ‘positive’ businesses, so you can be reassured that it’s making a positive social impact. Have you thought about an ethical alternative? In the UK, there has been a significant and growing appetite for ethical, or ‘green’ investment funds, with over £1 billion being invested ethically last year alone. By contrast, many people aren’t aware that from 2016 investors also have an ethical ISA option via the Innovative Finance ISA (IF ISA). This means that investors can create a positive impact with their savings and investments, whilst also benefiting from tax-free returns. Investment in the stocks and shares element of an IF ISA means your capital is at risk and projected returns are not guaranteed. The IFISA was primarily launched to give people more flexibility around their ISA savings and investments. Typically, IF ISA returns can be around double the rates offered by Cash ISA providers and IF ISA providers are able to do this as Peer-to-Peer lending essentially cuts out the ‘middle man’ – the bank and allows investors to receive a higher return connecting them directly with sustainable businesses that are also able to pay less interest. Peer-to-Peer lending (the type of loans that are made via an IF ISA) are not without risk however and these types of ISA are not currently protected by the Financial Services Compensation Scheme. The good news is that there are now a growing number of IF ISA providers ensuring customers have much more choice when it comes to choosing a more sustainable ISA alternative. You can choose to invest via your IF ISA in sectors such as renewable energy, eco-farming, social housing, or directly into a range of innovative UK businesses. Leading European impact investing platforms Ethex and Lendahand feel really strongly that customers should be able to save and invest according to their values and that’s why we’ve joined forces to offer an ethical IF ISA focused on rapidly accelerating the woefully low levels of affordable solar energy access in Africa – one of the UN SDG goals. This initiative is also supported by UK aid and Virgin Unite, the non-profit foundation of the Virgin Group. 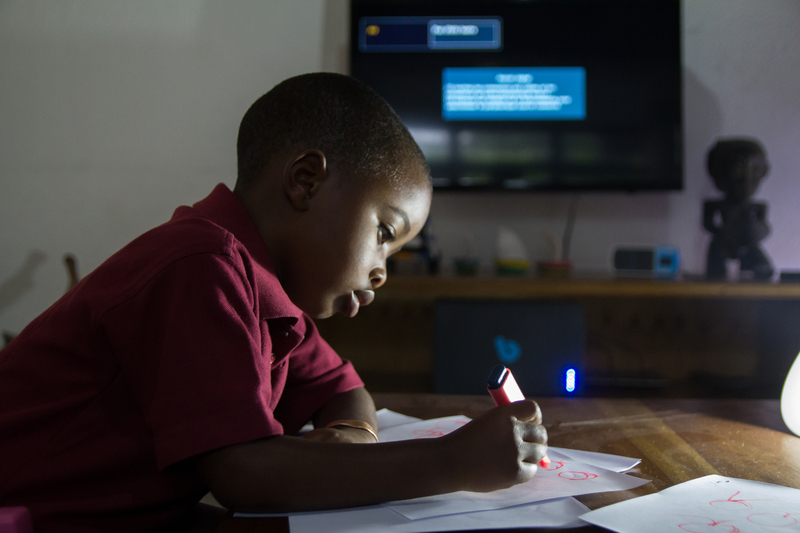 It’s shocking to think that more than 130 million families in sub-Saharan Africa having no access to electricity, meaning their quality of life and chances of achieving economic prosperity are seriously restricted. The Energise Africa IF ISA enables people in the UK to invest from as little as £50 in a bond issued by a pioneering solar business that installs off-grid solar systems in homes without electricity in rural Africa. These bonds can be placed within an IF ISA and investors can then benefit from potential tax-free returns of up to 6%. Please be aware that your capital is at risk and returns are not guaranteed. As a result of this investment, solar businesses can provide African families with affordable monthly payment plans improving health and livelihoods, providing income generating opportunities and reducing energy costs. Each tax year you can put up to £20,000 in any type of ISA. This means that you could split your yearly allowance between different kinds of ISAs if you wish. In addition, you can also transfer your existing ISA funds that you’ve saved in previous years too. With some ISAs that pay semi-annual returns you can also reinvest your returns on top of your yearly ISA allowance. The IF ISA provides an opportunity for people to access higher rates of return whilst also benefiting businesses that that truly believe in. However, investors do need to consider that with IF ISA investments your capital is at risk and returns are not guaranteed. These investments are not protected by the Financial Services Compensation Scheme either. So next time you’re looking at your ISA returns then don’t forget you can have your ethical cake and eat it – as ethical impact doesn’t have to come at the expense of lower returns! Before you fill this year’s ISA allowance then take a look at the ethical IF ISA options that are available.